Watch anime online, stream anime episodes online for free.Watch Mobile Suit Gundam 00 season 1 Episode 11 English version online and free episodes. 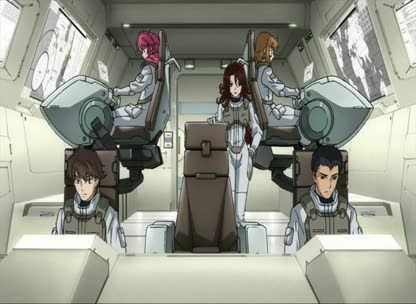 Anime Episode guide, Chapter Mobile Suit Gundam 00 season 1 Episode 11 English dubbed Allelujah.Allelujah decides to face his past and proposes a mission to destroy the facility where he was “created”. Sumeragi accepts and launches the Exia and Dynames to attack South Africa as a diversion while the Kyrios and Virtue assault the HRL colony where the illegal experiments on children are conducted. Flashbacks of Allelujah’s turbulent past is shown as he grapples with the decision to open fire on the experimental lab. Eventually, with Hallelujah taunting him, Allelujah destroys the facility. Celestial Being leaks information on the experiments to the media, turning it into an international incident and a public relations disaster for the HRL. Sergei becomes aware of the experiments and detains one of the scientists responsible, who also tried to cover it up. Kinue continues her investigation into Aeolia Schenberg, delving deeper into the mysteries surrounding Celestial Being’s founder.